My wife and I were touring Etosha National Park when I saw a herd of zebras walking toward two lions resting under a tree. 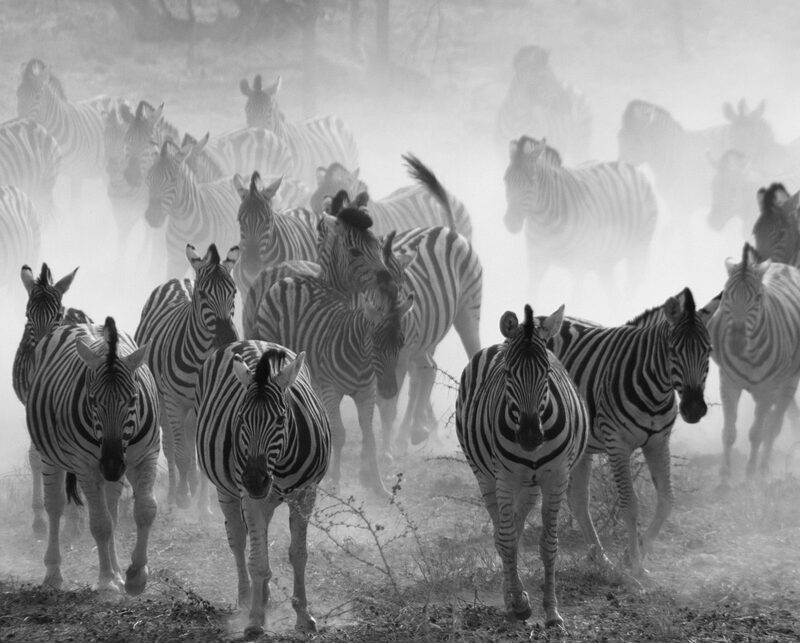 I hoped that when the zebras saw the lions, they would run back they way they had come through back lighting while throwing up dust with their hooves. They fled back the way they had come, but then they turned in the back lighting toward my camera. Right place at the right time.